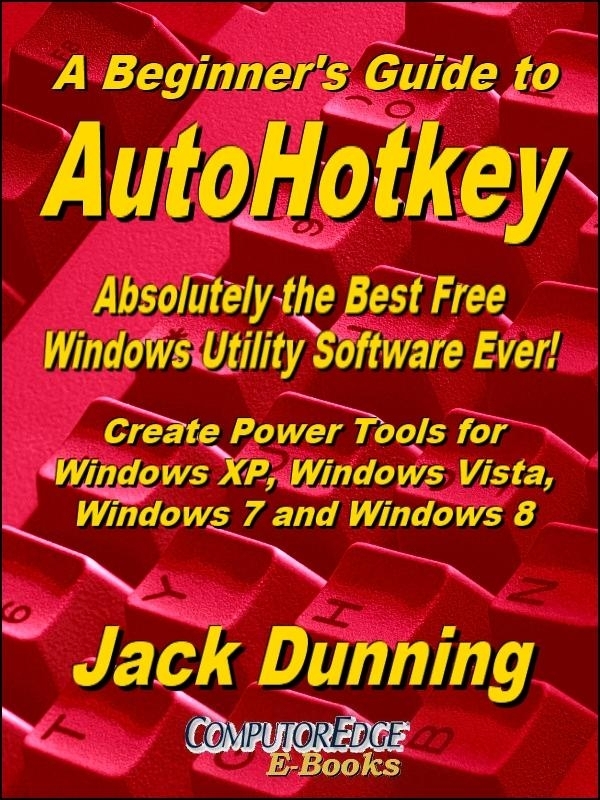 Use AutoHotkey Software to Automate Your Windows Computer. It's FREE! 1. 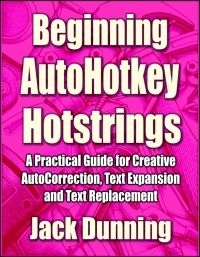 Simple techniques for creating Windows Hotkeys (actions key combinations) and Hotstrings (automatic text correction and manipulation). One line gets instant results! 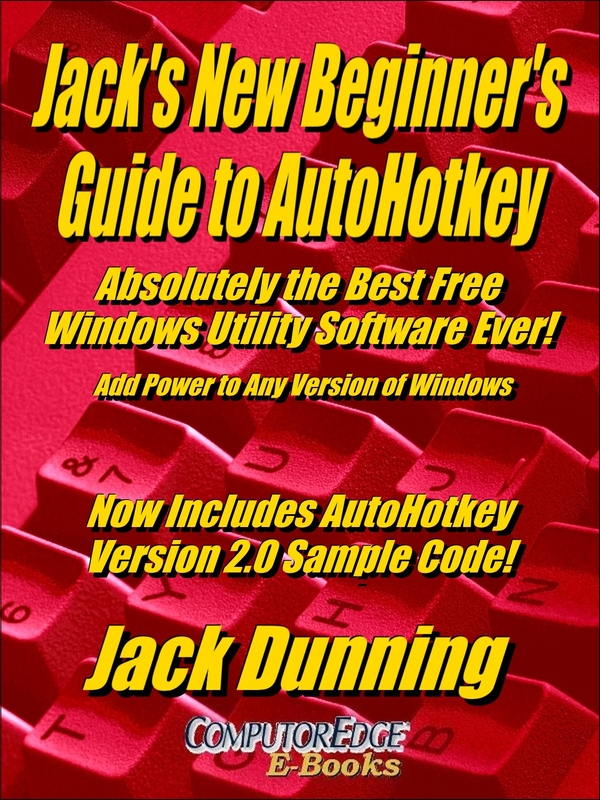 Jack's New Beginner's Guide to AutoHotkey (Second Edition)! 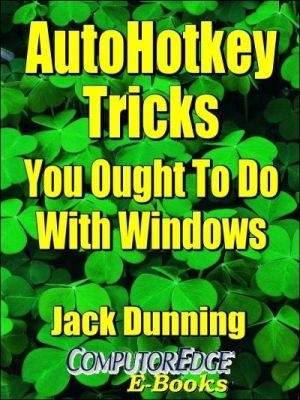 The Second Edition Now Includes Two New Chapters about Windows Software Automation! 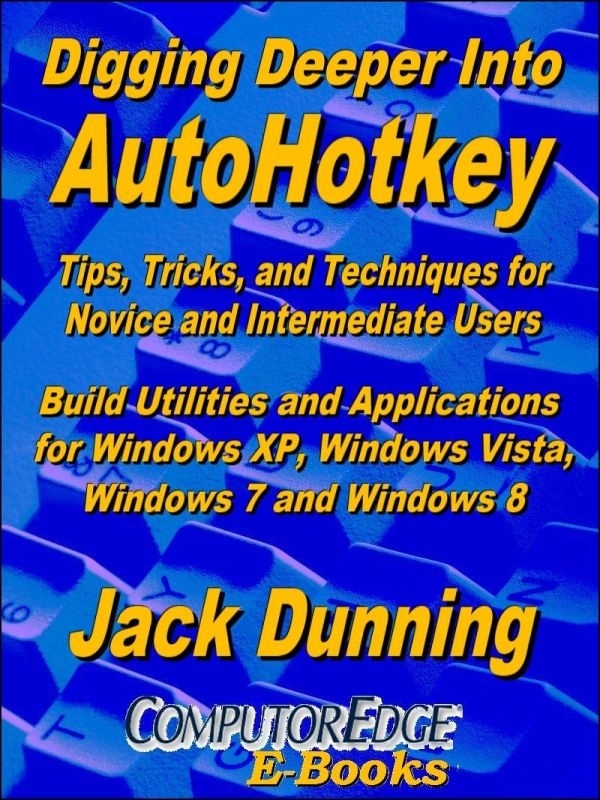 Jack's New Beginner's Guide to AutoHotkey is a getting started book for newcomers. Choose the format which is right for your e-reader, tablet, smartphone or computer hardware. EPUB is for iPad, iPhone, and most other devices (and computers). MOBI is for Amazon Kindle devices and software. While PDF can be displayed in most Web browsers, computers, and devices, it is formatted on a fixed size page (8½ X 11) for printing and placing in a standard three-ring binder. PDF is not best for small screens. For more book details see this Table of Contents and Book Index Web page! 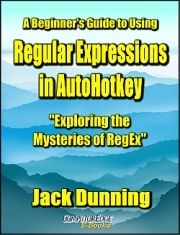 This new book adds numerous tips, updates, and comments giving more insight into both AutoHotkey techniques and the state of the AutoHotkey language while still targeted at the beginner level. 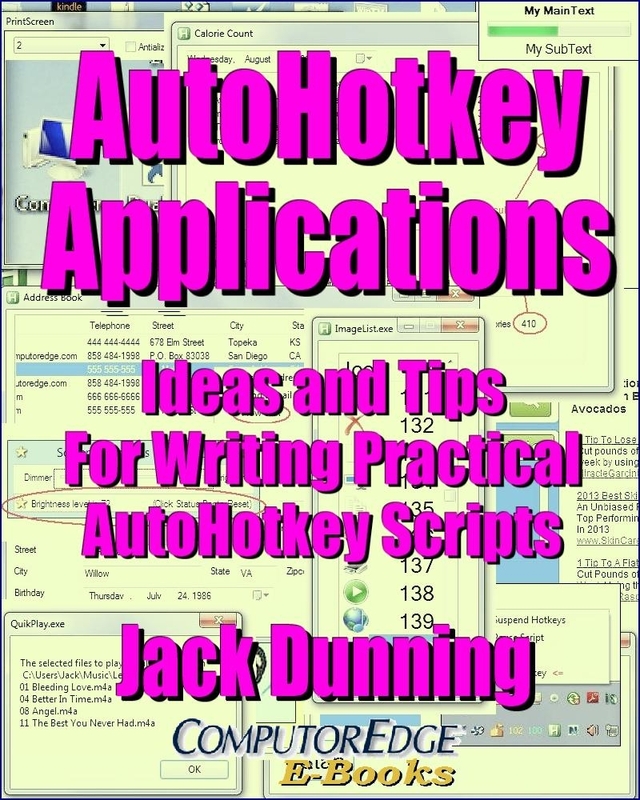 This book includes numerous new tips or updates, plus parallel sample code for the coming new version of AutoHotkey 2.0. Don't know which format to get? The Beginner's Guide Bundle includes all three at a special price! Or, Check out the multi-book Library Bundles below. If you previously purchased this book at ComputorEdge E-Books and ran out of downloads, e-mail us with your invoice number (or name and address) and we will add new downloads for this edition and send you a new download e-mail. Create Power Tools for all Windows Systems.EPUB for tablets, MOBI for Amazon Kindle and PDF format for printing or viewing on anything.